In 2009, a US Airways flight hit lost power mid-air and went careening toward New York City. But disaster was averted when the pilot, Captain Chesley Sullenberger, or "Captain Sully," made a heroic last-minute landing on the Hudson River, saving the lives of all 155 passengers and countless civilians in the area. “Captain Sully,” as he’s affectionately called, was praised for his quick-thinking and technical expertise in pulling off what’s now known as “Miracle on the Hudson.” So, whatever happened to that guy? What was the story with that plane, again? Air traffic control probably feared the worst — but Sully proceeded to pull off a textbook emergency landing in the frigid water (it was one of the coldest days of the year). The plane floated for a while as rescue crews arrived, and despite the fact that some passengers had to be rescued from underwater after the plane started sinking, everybody survived. Whoa. So Sully single-handedly saved everybody, huh? Well, not exactly. First of all, the entire crew of the flight performed admirably, including the other pilot on board, Jeffrey Skiles, and the flight attendants. All of them were awarded the Master’s Medal by the Guild of Air Pilots and Air Navigators — and all were also invited to attend Barack Obama’s inauguration as president, which took place a few days after the crash. [T]he nuts and bolts of gliding into water aren’t especially difficult. The common sense of water landings is one of the reasons pilots don’t even train for them in simulators. Another reason is that having to land in water will always be the byproduct of something inherently more serious—a fire, multiple engine failures, or some other catastrophic malfunction. That is the crux of the emergency, not the resultant landing. Sully, to his credit, has been modest about his performance and rejects the suggestion that he’s a hero. My wife actually looked it up in the dictionary. We decided between ourselves that it describes someone who chooses to put himself at risk to save another. That didn’t quite fit my situation, which was thrust upon me suddenly. Certainly, my crew and I were up to the task. But I’m not sure it quite crosses the threshold of heroism. But we should still celebrate him, right? Well, of course. He saved a bunch of people’s lives, and seems like a pretty swell guy in general. What did he do after landing that plane? 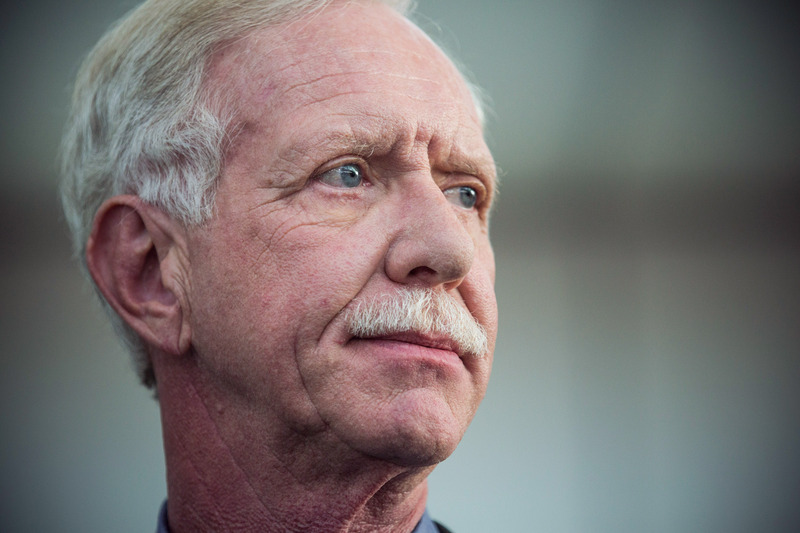 On the slightly more substantive side, Sully wrote two books: A memoir called Highest Duty about his time as a pilot, and Making a Difference, about leadership. He also started a safety consulting company and gives speech on aviation safety — that is, when he’s not at his gig as CBS News’ resident aviation and safety expert. Let’s drink to Sully — and if you happen to have some Grey Goose nearby, you can make that drink a Sully, too!